It may not feel like it in parts of the UK hit by ‘The Beast from the East’ and Storm Emma, but spring is just around the corner – and with it the annual deadly threat from the roundworm Nematodirus in lambs. Responding to the speed with which this parasite can hit, the Sustainable Control of Parasites in Sheep (SCOPS) group is again providing an invaluable forecasting tool on its website. An interactive map with a traffic light system of warnings (pictured) is provided alongside practice advice for assessing on-farm risk at www.scops.org.uk/nematodirus. Hannah Vineer of the University of Bristol developed the online tool. She says: “We could be in for a high risk season, if this late cold snap is followed by a rapid increase in temperature. Such conditions will cause the Nematodirus battus parasite to hatch in large numbers, posing a massive threat to lambs aged around four to six weeks. 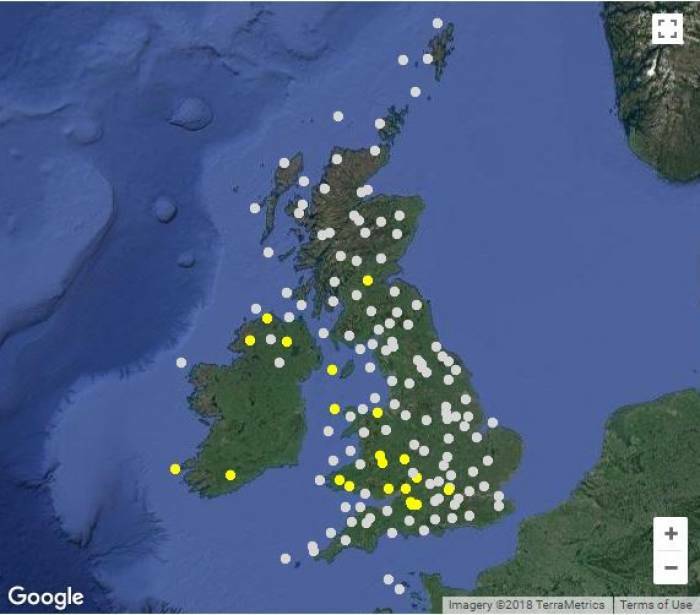 The forecast map is updated daily using data from over 140 weather stations around the UK, tracking changes in risk throughout the spring and early summer. The interactive map allows farmers and advisers to select the nearest or most representative weather station, providing advice on how to relate the predicted risk to their particular farm, treatment options and possible management actions. The SCOPS Nematodirus Forecast has been developed by SCOPS and researchers at the University of Bristol’s School of Veterinary Sciences. The 2018 service is sponsored by Bimeda and FECPAK.